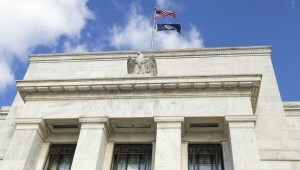 As ex pected, the Federal Reserve raised interest rates for the first time in nearly a decade. Jon Hilsenrath from the Wall Street Journal expands on the event in his article Fed Raises Rates After Seven Years Near Zero, Expects ‘Gradual’ Tightening Path. Below is an excerpt from the article that provides a clear overview of the Fed’s decision. The Federal Reserve said it would raise its benchmark interest rate from near zero for the first time since December 2008, and emphasized it will likely lift it gradually thereafter in a test of the economy’s capacity to stand on its own with less support from super easy monetary policy. Fed officials said they would move up the rate by a quarter percentage point on Thursday, to between 0.25% and 0.5%, and would adjust their strategy as they see how the economy performs. At these low rates, they added, policy remains accomodative. “The (Fed) expects economic conditions will evolve in a manner that will warrant only gradual increases in the fed funds rate,” the Fed said in a statement following its two-day meeting. To hammer home this point, officials added in a second place in their statement that they anticipated “gradual adjustments” in rates. Fed Chairwoman Janet Yellen won a unanimous vote.